NOTE: New podcasts and interviews are added regularly. Scroll all the way down the page to find TBJ videos and interviews of Laurie. What happens when a corporate leader burns out and goes off to the jungle of Costa Rica to pursue a Master’s degree in International Peace and Conflict Studies? If you know you are overdue to shake things up in your life—before it shakes you—you won’t want to miss this episode. Purpose and Passion: what is your North Star? Making choices: Is this taking me closer or further away from who I am? Cindy Henson works with nonprofits, government agencies, and triple-bottom-line organizations that are making a positive difference in the world. They become inspired about the work they do and how it can contribute to the greater good in the world. Her new book is JUNGLE: A Journey to Peace, Purpose, and Freedom. Transformative Tedx talks from inside a prison that open the way for healing, connection and peace? Yes, indeed. Join me and today’s guest, Mariette Fourmeaux du Sartel for her heart-opening stories from inside Donovan Prison in San Diego, California. Mariette Fourmeaux du Sartel guides leaders to build sustainable, resilient, high-performance teams, enabling them to develop innovative solutions to world-scale problems with compassionate, human-centered leadership. Mariette has discovered the mechanisms of turning our society’s cycle of violence into one of transformation and healing with the organization of the wildly successful TEDxDonovanCorrectional. She has created a nonprofit called Brilliance Inside, with the mission of transforming prison from being strictly a container of violence to a creator of peace. Find Lumari at www.lumari.com. 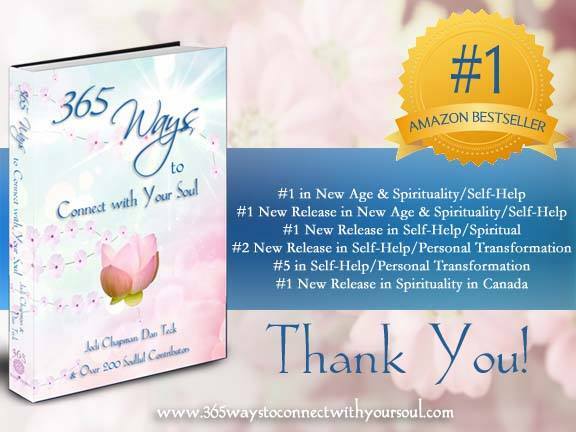 A free gift of “Personal Sacred Space in Meditation” awaits you. Join host Laurie Seymour with her guest, Christine Powers, for a conversation that will resonate in your heart. Christine Powers is a world-class soprano and inspirational leader who “amplifies the amplifiers.” She empowers those “on the front lines of humanity” to lead further and deeper — pulling us all forward into a transcendent world. What happens when a group of people come together each day with a focus on creating peace? Miracles! Join MarBeth Dunn and Wisdom Talk Radio host Laurie Seymour for a stimulating conversation about peace, energy management and MarBeth’s experiences living in Haiti. Gaia’s book: Stop! Drop! & Wiggle! explores the first aspect which is a foundation of Happiness: PLAY. I can feel in their vibration what is opening on a soul level, and I follow that path—the soul resonance—-in the design. If your office or workspace feels funky—and not in a good way—you can invite Judith to take a fresh look at your work space and get insights on how to bring your office into greater alignment with who you really are. Join WTR host Laurie Seymour for this invitation to become a revolutionary in your own life. Learning to trust the wisdom of your own heart is a revolutionary act. How do you do that? Join Laurie Seymour and her guest and moon sister Ezzie Spencer, for a luminous conversation into the depths of Ezzie’s Lunar Abundance practice. Lunar Abundance is a guide to cultivating peace, security and purpose in both your personal and professional life, guided by the phases of the moon. Join host Laurie Seymour as she welcomes Paola Devescovi, founder of Project Prosperity and author of 50+.com. Paola is a business and prosperity coach, helping small business owners and self-employed professionals expand and create freedom and prosperity in their business. She has created a unique approach to coaching, blending energy techniques in her work with clients. She is the co-creatoir of the MyAmbrogio app, a virtual butler for smartphones and tablets. Join WTR host Laurie Seymour of The Baca Journey on her return from a month in Africa. She is joined by Papa Dia and Sylvia Karanja from The African Leadership Group in Denver, Colorado, for a truly inspiring conversation about their work with the African immigrant population in Colorado and how what is working there has profound implications and possibility for each one of us. ALG serves the entire African community, no matter what country immigrants come from. It transcends country, tribe, religion and culture, to work together to improve the quality of life of all African immigrants in Colorado. And Colorado is just the beginning. The Secret of Life: We are in the world to accomplish a mission: to have an impact on others. Every single human being is in a position to help impact somebody else. Sometimes we get so caught up in our personal needs that we forget. We ned to learn how to come together: to eat together, to walk together, to be together, to care for one another. How do we go beyond divisiveness? Laurie shares what she discovered from the depths of her own despair that opened space in the darkest places. Inner voices rooted in judgment are not trust-worthy. They are the voices of self-doubt. How do you go from self-doubt to self-trust? That’s today’s episode, part 3 of The Compass Within series. – What is the Compass Within? And why is it so important to the quality and direction of your life? – What is meant by “inner knowing”? – What gets in the way of using the compass within for making decisions and course-correcting? – How to pay attention to what your body knows is true. How can you use the power of mindfulness to strengthen your relationships? How do you put a desire for service into practice? Join Laurie Seymour with her guest Barb Schmidt, best-selling author of The Practice: Simple Tools for Managing Stress, Finding Inner Peace and Uncovering Happiness. 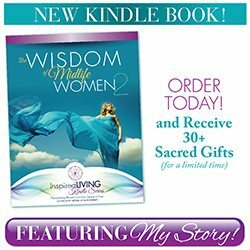 An extremely successful business woman (owning multiple McDonald’s), when Barb’s inside life crashed, she discovered meditation and transformed her life from the inside-out. Laurie explores the human experience of vulnerability, first bringing to light 4 myths that keep you from a deeper experience of self-realization. Vulnerability is the Universe’s invitation to you to take your next step. Crystal Brown is a visionary on a mission She is a committed activist who has set out to change the face of health care. Her first step is with Healthiest, an e-commerce company dedicated to selling only the healthiest products in the world, doing the research for you to make great product choices. In today’s podcast the WTR collective unpacks ways to say YES to yourself. They look at where you now say no to yourself in many situations and circumstances, and how to turn those into the celebration of yes. Join host Laurie Seymour as she opens the door to the freedom that lives beyond the stories you tell yourself. Self-talk, over time, solidifies into stories. The stories you tell yourself about who you are become who you are. The stories you tell yourself about life, become your life. Perhaps the most damaging story that you can tell yourself is that freedom is not possible. Confidence comes in the connection with your unshakable inner core. The act of carrying and giving birth to a child mirrors the process of giving birth to something new—be it a project, product, company or something else entirely. How do you know when you need to hold on, containing the energy so that it has time to gestate? Are you willing and ready to let it go into the world and fly when it is ready? The Wisdom Talk Radio hosts pool their collective wisdom to explore the art of receiving and letting go. Have you ever dreamed of making a pilgrimage on a sacred path, perhaps the famous Camino de Santiago? Join host Laurie Seymour as she delves into the Mysteries of spiral path pilgrimages, ley lines and serpentine spiral energy paths with Sarah Hoskin Clymer. Sarah walked the Camino when she turned 50. Sarah Hoskin Clymer is a pilgrim. She loves to walk. She walks almost daily, on local hiking trails in Colorado, on the ancient pilgrimage paths along the “dragon” ley lines of the Earth especially in Spain, England, and Cornwall, and on sacred spiral paths such as labyrinths. She walks to come home to herself, and the truth of who she truly is, to connect with the Earth and Spirit, and to live her life aligned with her soul’s path. Her intention is always to walk In Love, As Love, For Love. Join Laurie Seymour as she talks about the reliable resource—your inner compass— that is alive within you and can bring new simplicity and clarity to making decisions and taking action with confidence. She asks: What if you learned to trust your inner voice, the unique-to-you guidance that your soul wants to share with you? What if you could tell when an idea was coming from this deeper dimension within you? Would that be worthy of your attention? Develop the critical ability to discern the truth of another’s words, to know when inner guidance comes from the truest part of yourself, to feel the difference between judgment and discernment and to choose well. Chaos is the beginning of all creation. Out of chaos comes manifestation! Listen in as the Wisdom Talk Radio hosts come together to riff on the power of the breath, finding humor, building resilience, the importance of beauty and pleasure and the gift of surrender. Peggy Nolan’s story starts her story with her Twitter account being forceably shut down and her popular website being hacked beyond recovery. Her focus became to “meander,” to “keep moving, slow down.” She shares the powerful gifts this unexpectedly brought into her life. Join your host Laurie Seymour and her guest, Peggy Nolan as they explore how willingness to experiment opens untapped creativity. It’s been one hell of a journey so far, hasn’t it? You’ve been fighting the good fight. Taking care of all that’s been needed. Now it’s time for YOU. Let go of the breath you’ve been holding so you could keep moving forward. Join Laurie as she reveals the power of finally exhaling. It’s where the magic begins after such a long and winding road. Join host Laurie Seymour as she talks about the energetic principle of “circulation” at play when you actively give thanks. Learn a simple practice you can do to experience grace in your own life by expressing gratitude. Giving thanks takes on a whole new meaning and will change your life. Prepare to be inspired. Maria Flynn is a heart-centered entrepreneur who delights in the journey of personal development. She regularly asks: “How can I show up for this experience as my highest self?” Inviting her audience to ask the same, she brings inspiration to her daily Facebook Live sessions that support a Facebook community of almost 200,000 people. Join Laurie and Shanti as they explore the power of self-directing your own nervous system. Shanti explains that there is a moment of Presence that is available during trauma, that can allow you to use conscious awareness through your body as a barometer. Shanti takes us through an experience of her “Just this Breath” technique that can open doors for deeper embodied living. Simply put, you can remember your true nature through the breath. Listen in and discover what Gail means by your “Holy Fool Act,” how retirement is an out-dated model and how aging can look in our culture. Gail offers Transformational Speaking to a global audience through both her Online Academy and monthly live immersions in Santa Fe, New Mexico. Even if you can’t make it to be with her in Santa Fe, her Online Academy will help you “change the world by telling a better story”. Check it out. What do you do with your expectation that today will be like yesterday? What do you do when the world stops being familiar? Nicola Millington founded the UK-based marketing company, FP Comms with the tagline of “Marketing with Love.” It was quite an unusual choice when she first opened–she wasn’t sure people would understand it, But she knew it was right for the company she was building. It is the essence of how she does business. Listen in to Carolyn, Laurie and Nicola muse about finding the strength of your own voice and trusting it, how hard it can be to build a great business (“Richard Branson didn’t tell the whole truth of it.”), marketing for bloggers and what young entrepreneurs need. Honoring mind-body-spirit is no buzzword for Felina Danalis. For her, it’s nothing less than her life’s work. After serving for years in international development at places like the World Bank, and consulting in the sustainability industry in Europe, she witnessed a traumatic car bombing while working in the field. This was her breaking-open moment. Since then, cultivating her own spiritual fitness and helping others to do the same has been her passion, her calling and her business. What can you do when life presents you with an emergency? Learn how to go beyond flight or flight to access your greater response – ability. Ask yourself: What is emerging? Why does Carl Contino call himself the Groove Coach? Learn how Carl reframed what he calls his “cognitive glitches” into the source of his untapped genius, living life as a wave. Listen to this passionate coach speak about his recent transformation from hiding out as a cave dweller to living with visibility and participation. Lisa Hunter is the Founder and Director of Sacred House in Boulder, Colorado. Sacred House is a global movement to discover 7.125 billion recipes for spirituality. Lisa’s life work focuses on supporting people to discover their own tailor-fit what she calls, Recipe for Spirituality. Are you a “helper” by nature? Do you ever question why you do what you do? Even if serving others is the most natural thing in the world, there can be a dark underbelly at play that can leave you depleted and resentful. Explore how to be of true service, free of agenda. Many of us are looking to how we can keep up with the outer changes in the world. However, my focus today is on inner change, inner transformation. Because it all starts from within. How do you take a quantum leap into your future? Everything — your potential, your guidance system, your cellular memory — is in place within your physical body. It simply needs to be awakened so that you can experience a deeper sense of clarity and inner direction. As you develop the practice of inner observing and inner quiet, a whole universe of memory and remembrance can emerge, catalyzed by the simple choice to interrupt your racing thoughts. The act of such remembering becomes a sacred wisdom journey. Join us for this wonderful sharing of what “Radical Acceptance” means for each of us. Learn how to apply it in your life now, to embrace the moment and to feel more alive. …With Aparna Sain, Marianne McGuire and Laurie Seymour. The inner call…a call to change, a call to adventure, a call to dive deep into yourself. How does the inner call appear in life? How do you respond? Listen in as we talk about the ways that the “call” has shown up for us. How paying attention allows you to hear the call of your own life. With…Marianne McGuire, Sabrina Fritts, Gitanjali Hemp, Carolyn Turner, Aparna Sain and Laurie Seymour. What does surrender mean to you? Where do breakthroughs come from? How do you bring your true self into the present moment? Listen in as we explore control, fear, vulnerability and the power of trust. With…Sabrina Fritts, Gitanjali Hemp and Laurie Seymour. Welcome to Wisdom Talk Radio! In honor of our first podcast, today we’re taking a multi-voiced dive into what it takes to be present with new beginnings in our lives. We’re talking about moments where we’ve stepped out of our everyday lives in a big way, broken our own mold. What does it take to begin again? Is it really a NEW beginning? Or something you’ve been wanting and waiting for your whole life? With…Laurie Seymour, Carolyn Turner, Marianne McGuire, Aparna Sain, Sabrina Fritts and Gitanjali Hemp. What is “Soul Language”? Does our soul have a voice that is unique? How does knowing our language help us to connect with and align our expression with our deepest self? Join me for our provocative conversation that teases out threads of connection. How do you want to experience your cosmic particles? How do you connect with your bigger picture? How does stillness nourish action? And action feed stillness? Katy is a Mindfulness Coach for parents and children. It is work that is so needed. Listen in on our conversation where we talk about how families benefit from mindfulness practices; how you can begin practicing mindfulness with your children and what ages they can start meditating. Then head over to get her free gift of 10 ^mostly mindful mantras. Maureen Donoghue and Marlene Armstrong are certified Equus coaches who partner with horses to generate the inner radiance of their coaching clients. What is the magic that the horses bring? How do they help bring forth clarity and leadership? Maureen and Marlene launched Unbridled Coaching in 2012 after “retiring” from their corporate careers and haven’t looked back. They like to refer to their work as “People Whispering”. See why. Watch and discover how having a horse as your co-coach can transform your life from the inside-out. How do you give to the world? What do you need as you do this? Do you connect with your inner compass to create what you desire in your life? Is intuition important in your professional life? How can we reconnect with our inner self? In this insightful conversation with Paola Devescovi on her Project Prosperity podcast, we cover a lot of ground! This was a delightful conversation on Mary Eileen Williams’ Feisty After 50 blog Talk Radio show. Listen in to hear what you can do when everything feels like it has changed and you need to find your bearings again. Join Laurie Seymour and Nicolas Perrin as they explore the various paradigms of the healing path. This is significant because the paradigm you consciously or unconsciously exist in will have a massive effect on what does or doesn’t happen in your life. c) Re-orientating yourself so that you feel a calmness, balance and openness to life.